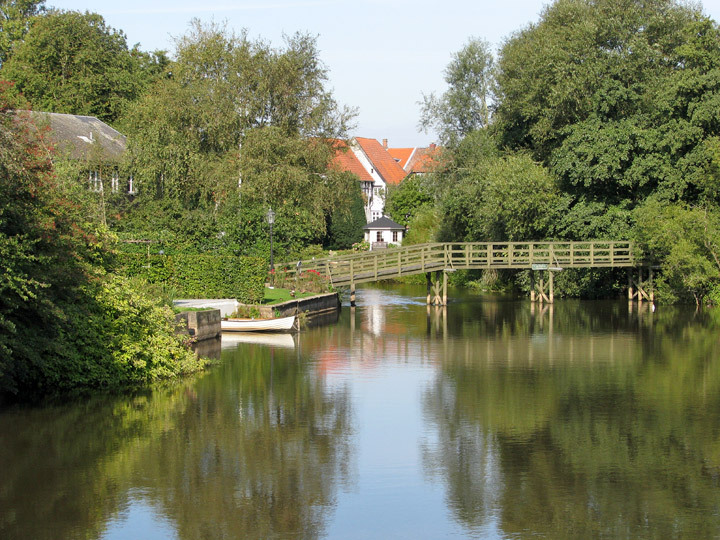 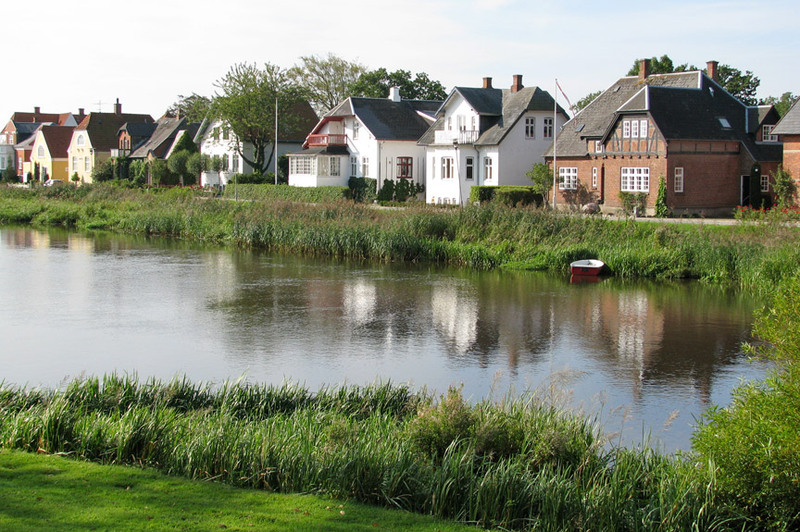 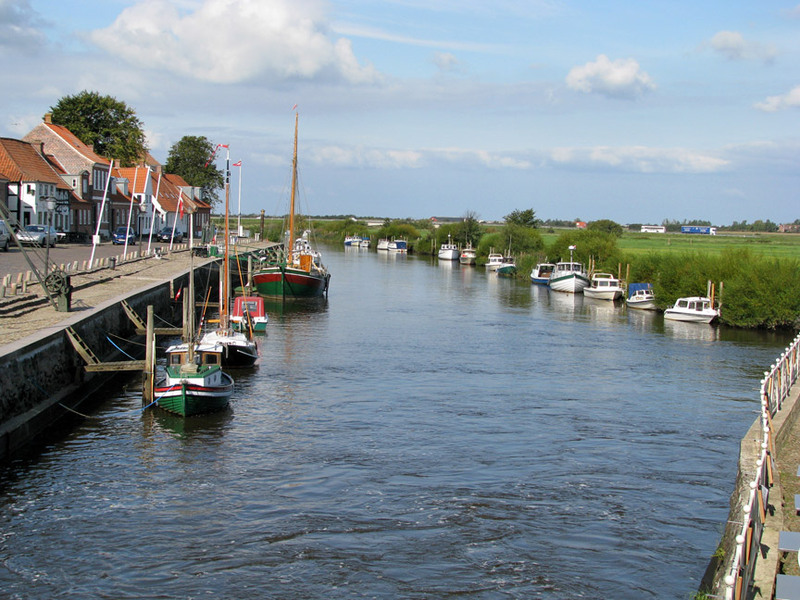 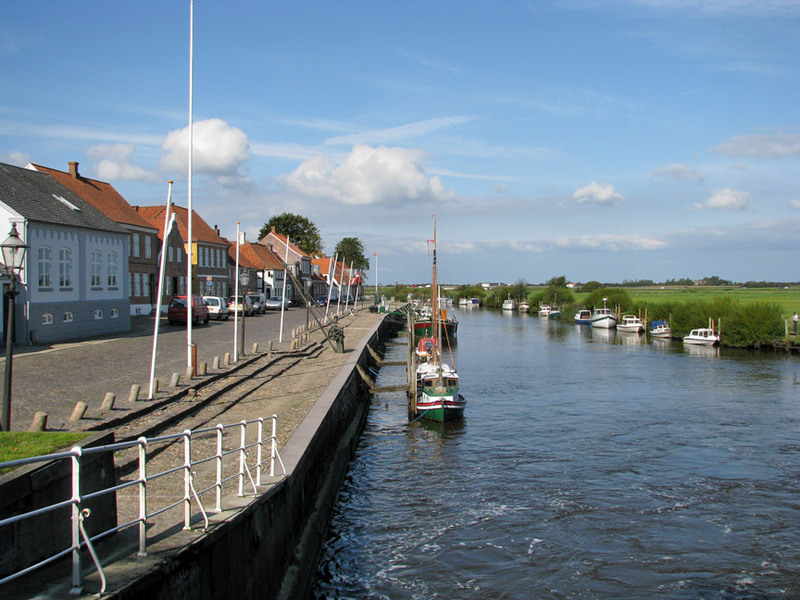 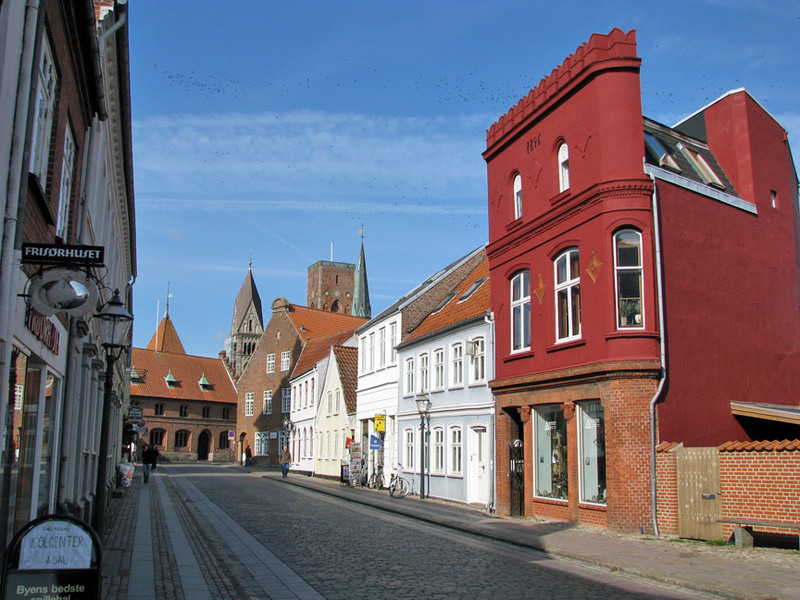 Ribe (German: Ripen) is the oldest town of Denmark, situated in southwest Jutland. 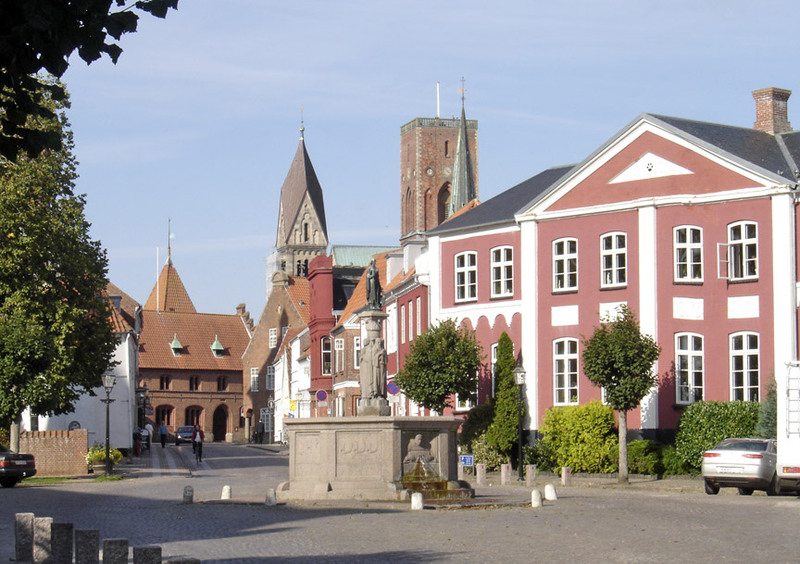 Until 1 January 2007, it was the seat of both the surrounding Municipality, and County. 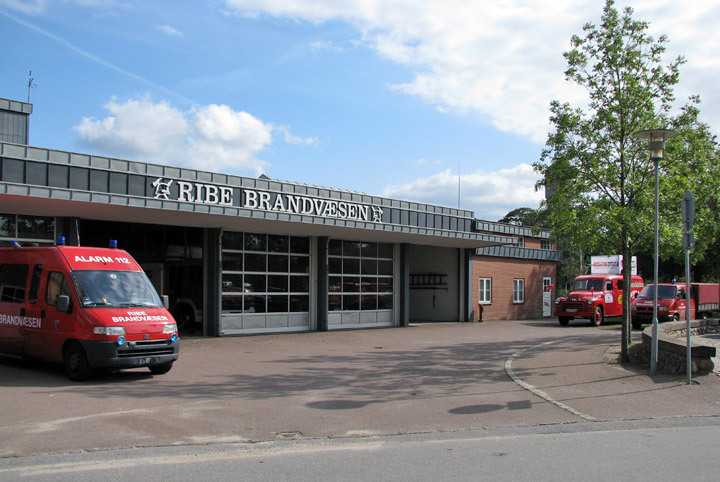 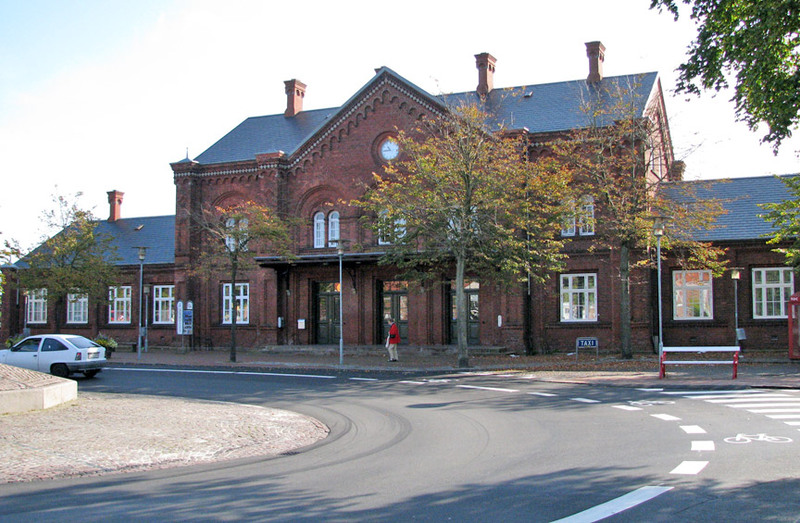 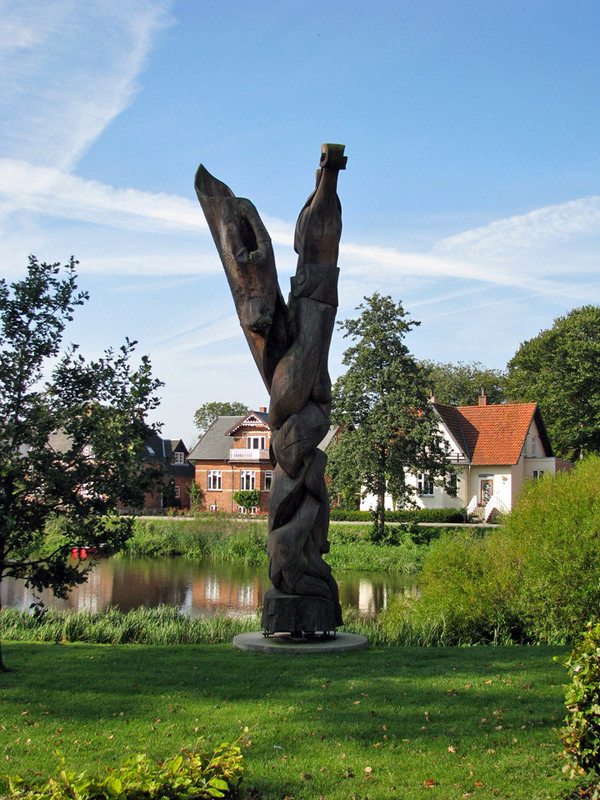 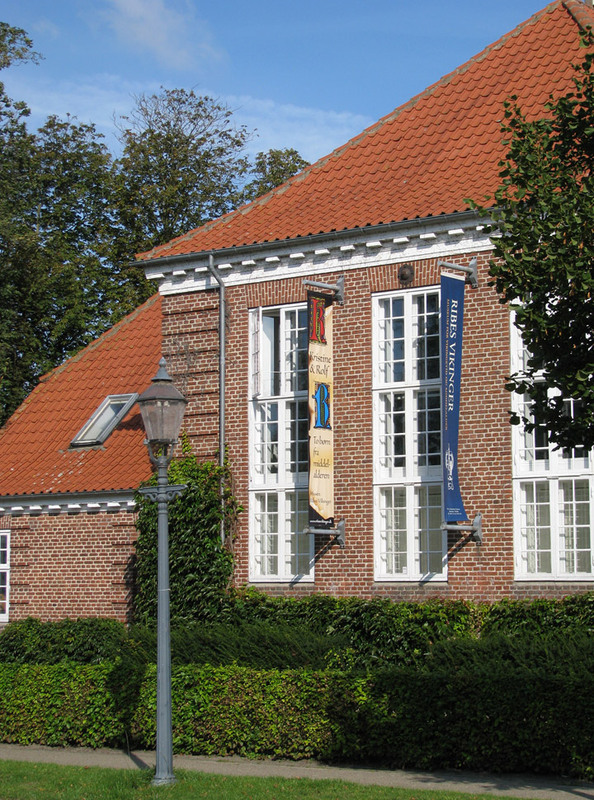 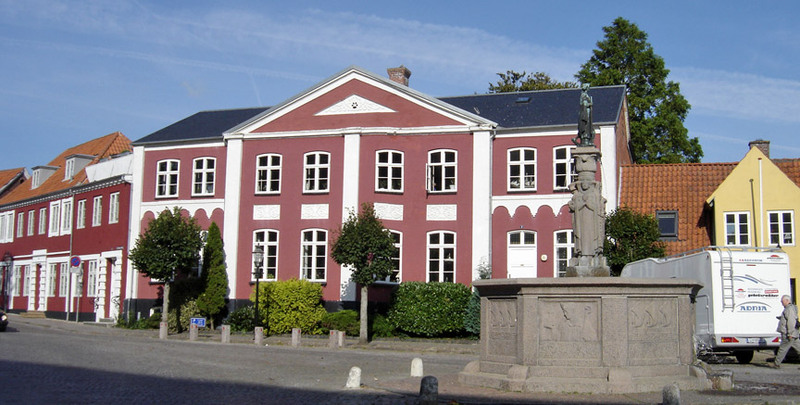 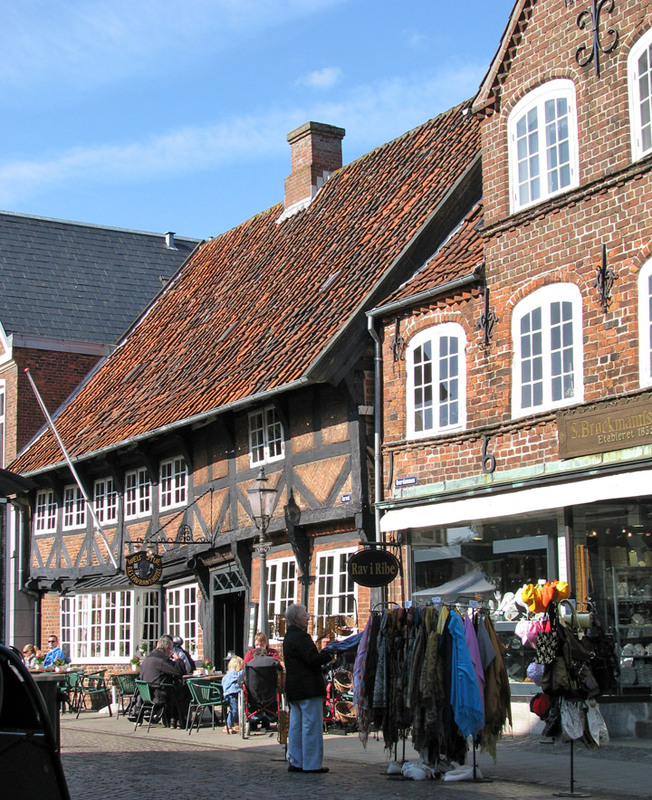 Ribe is now part of the enlarged Esbjerg Municipality newly created Region Syddanmark. 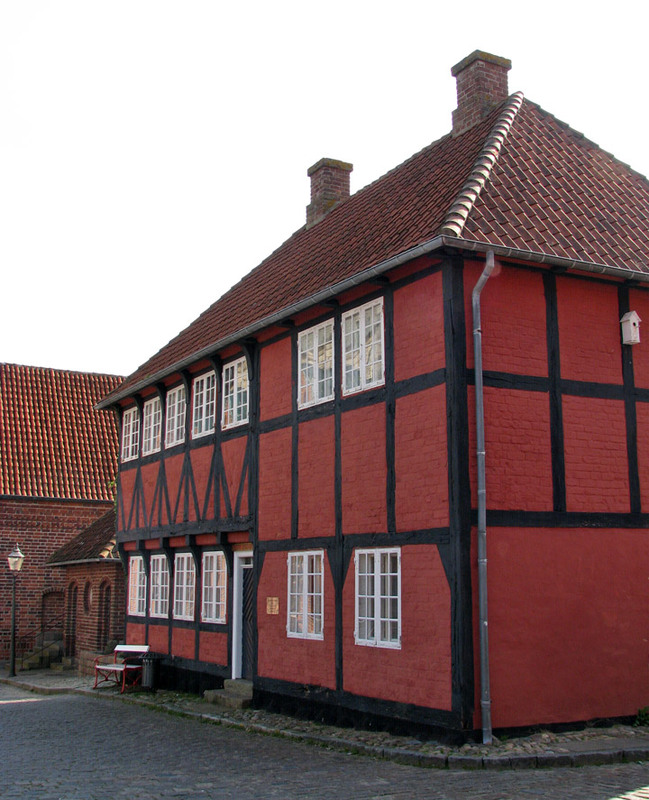 Established in the first decade of the 8th century and first attested in a document dating from 854, Ribe is the oldest town in Denmark. 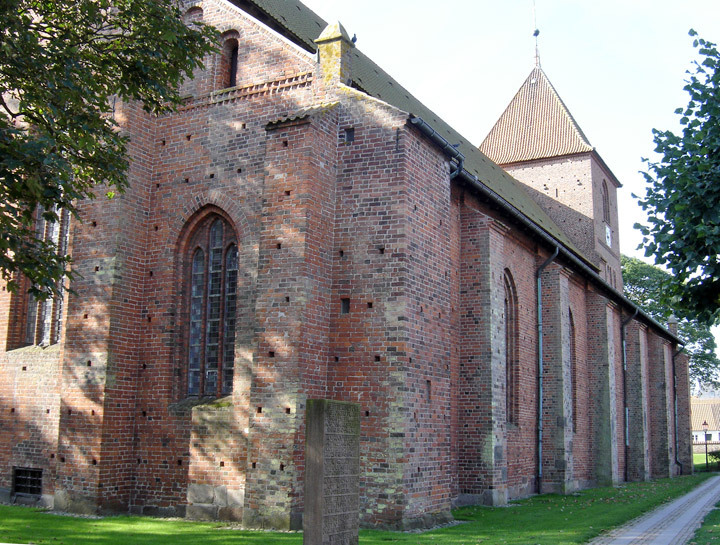 When Ansgar the Archbishop of Hamburg-Bremen, set out on the "Mission to bring Christianity to the North", he made a request in 860 to the King of Denmark, that the first Scandinavian church be built in Ribe. 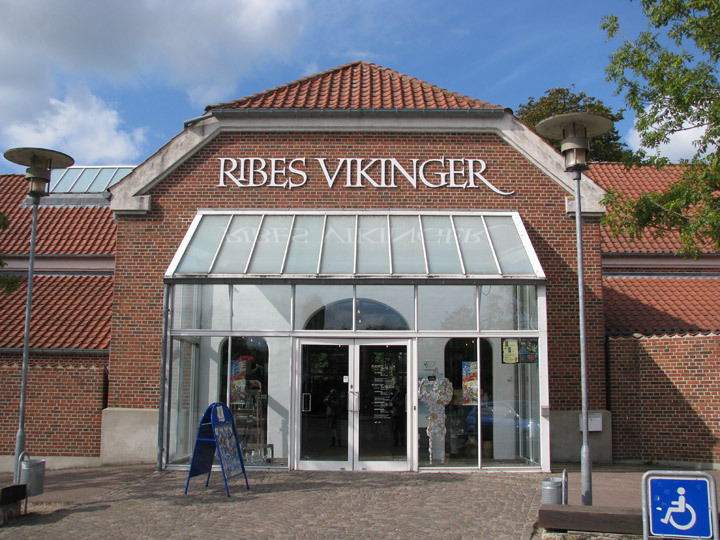 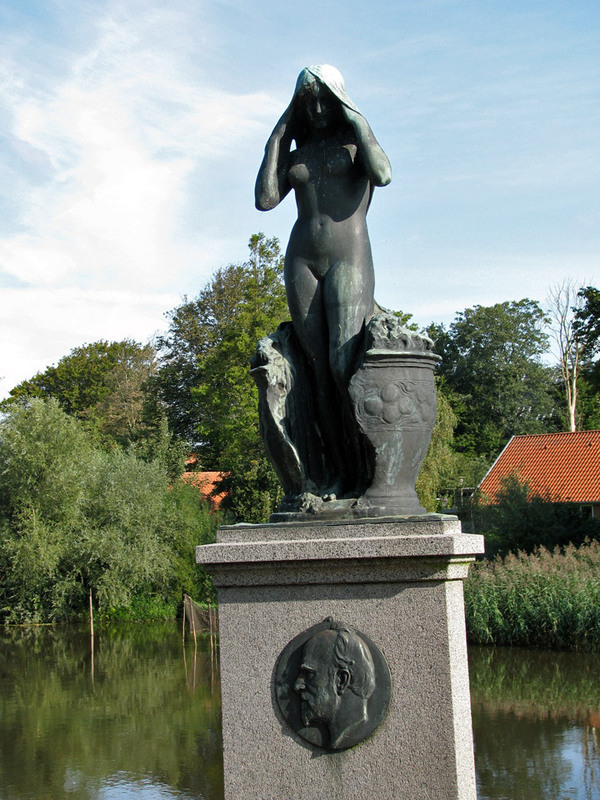 This was not coincidental, since Ribe already at that point, was the most important trade city of Scandinavia. 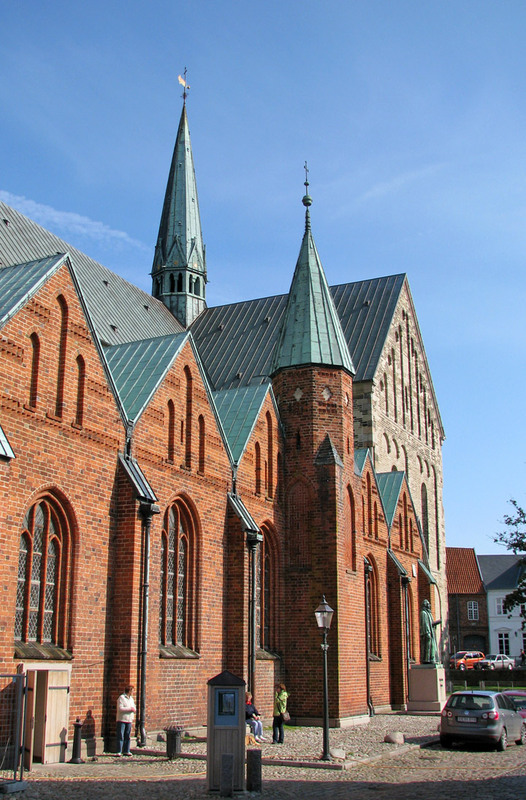 However we can only confirm the presence of a bishop and thus a cathedral in Ribe from the year 948. 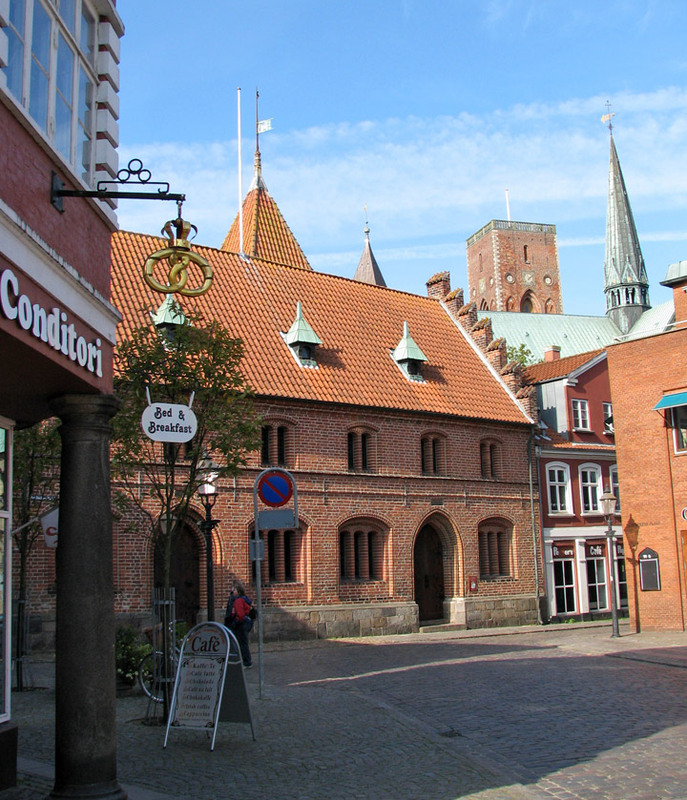 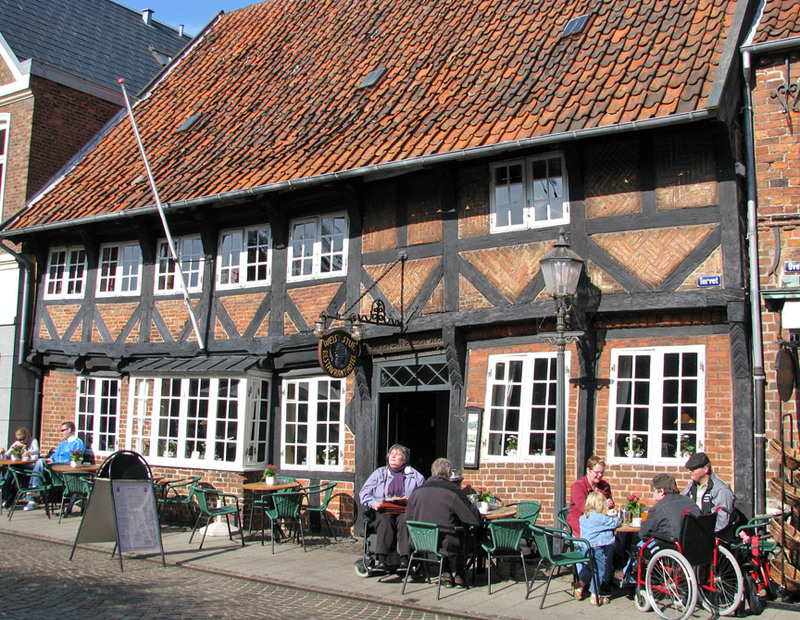 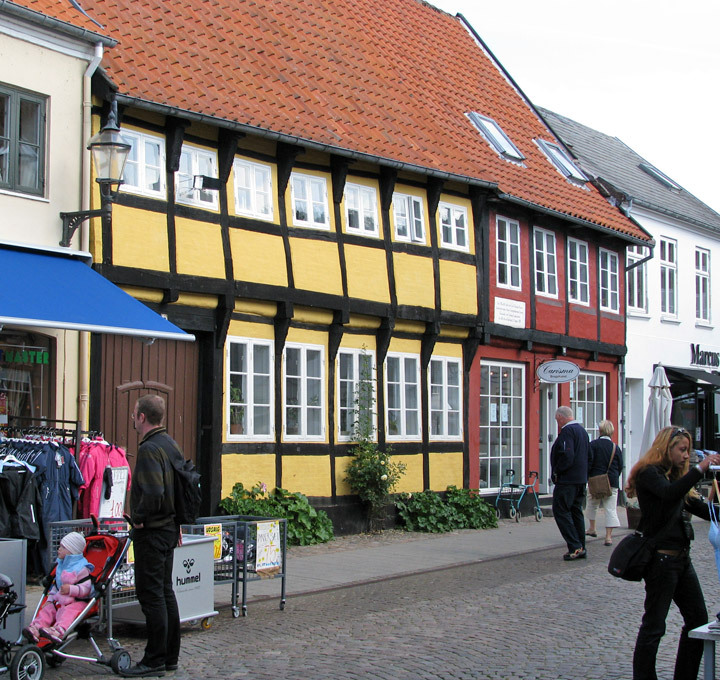 The town has many well-preserved old buildings, Ribe Cathedral, c. 110 houses are under Heritage Protection. 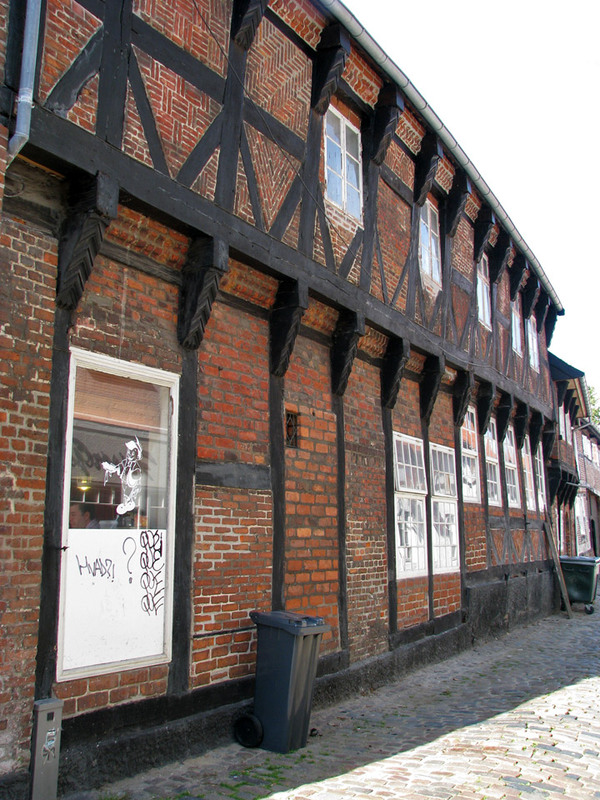 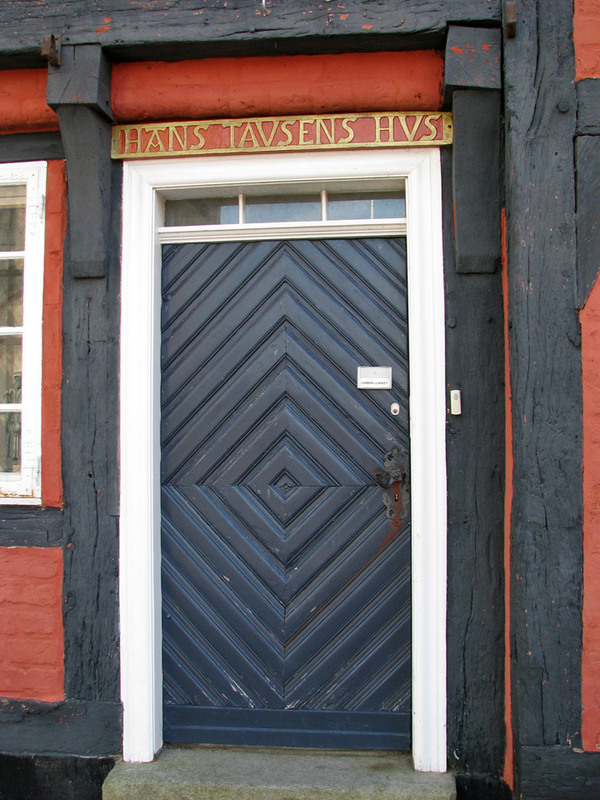 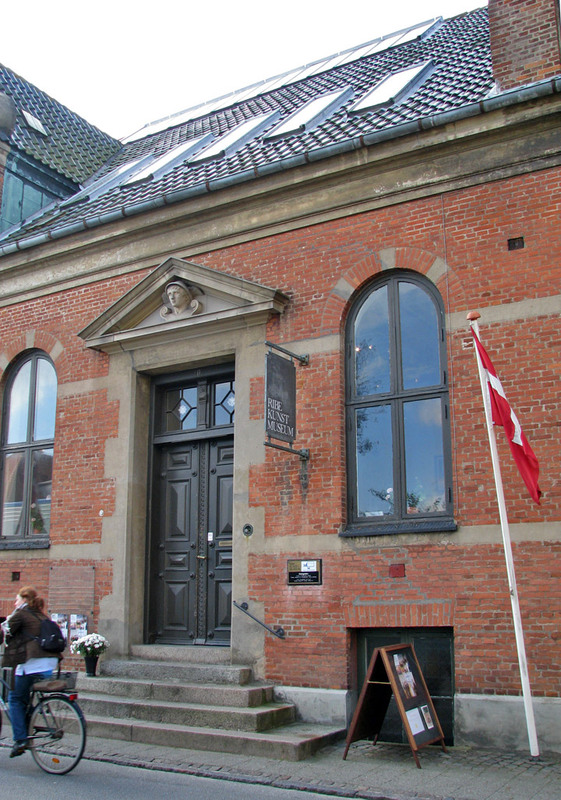 Denmark's oldest town hall is found on the town's Von Støckens Plads. 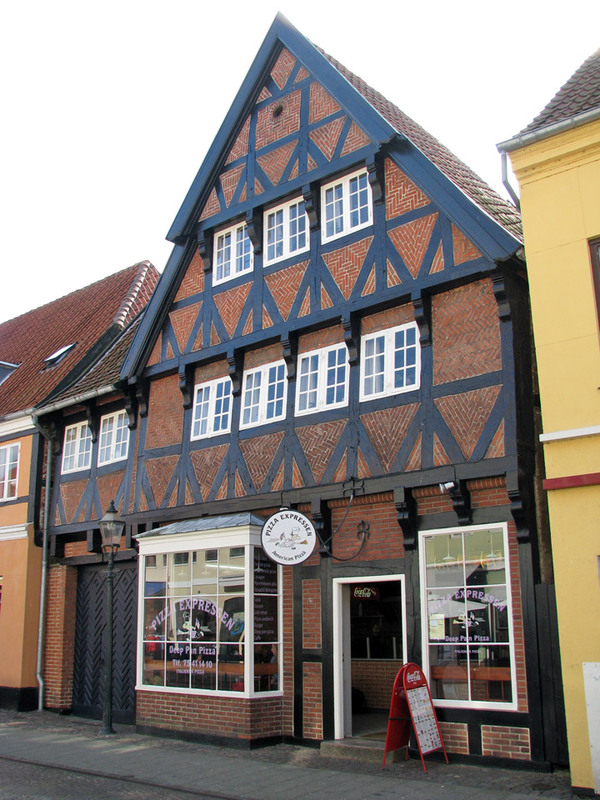 The building was erected in 1496, and was purchased by the city for use as a town hall in 1709. 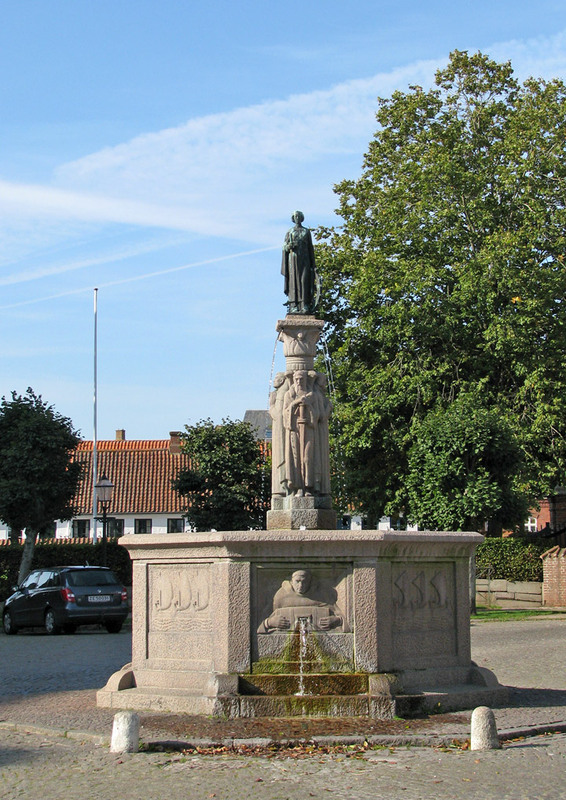 * Early 8th century, founding of Ribe. 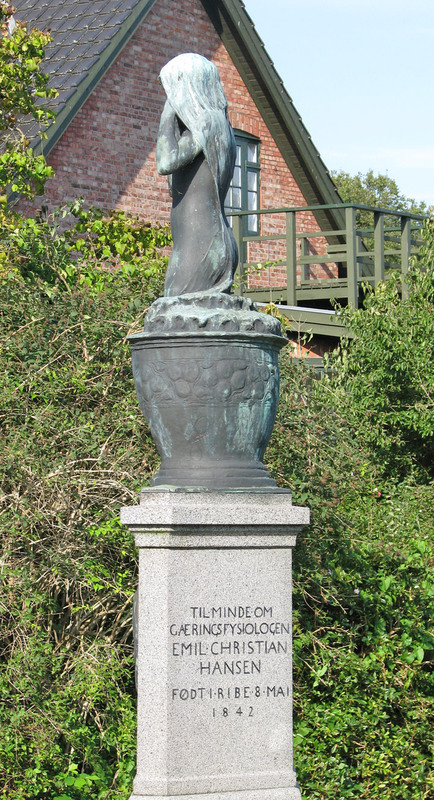 * The Treaty of Ribe was proclaimed in 1460. 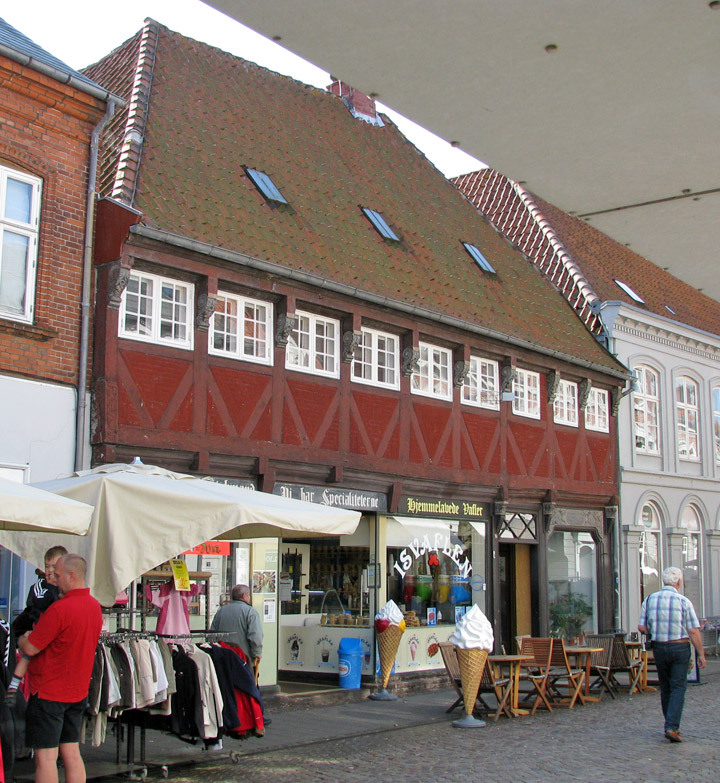 * 1580, 3 September: A great fire destroys a large part of the town. 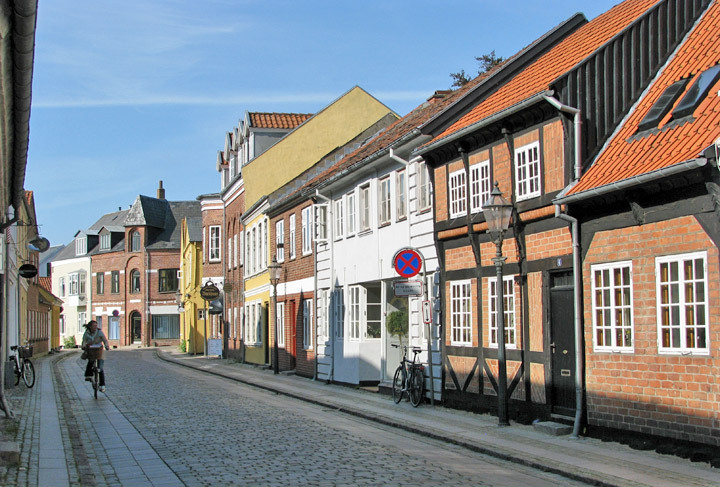 11 streets and 213 houses burn down. 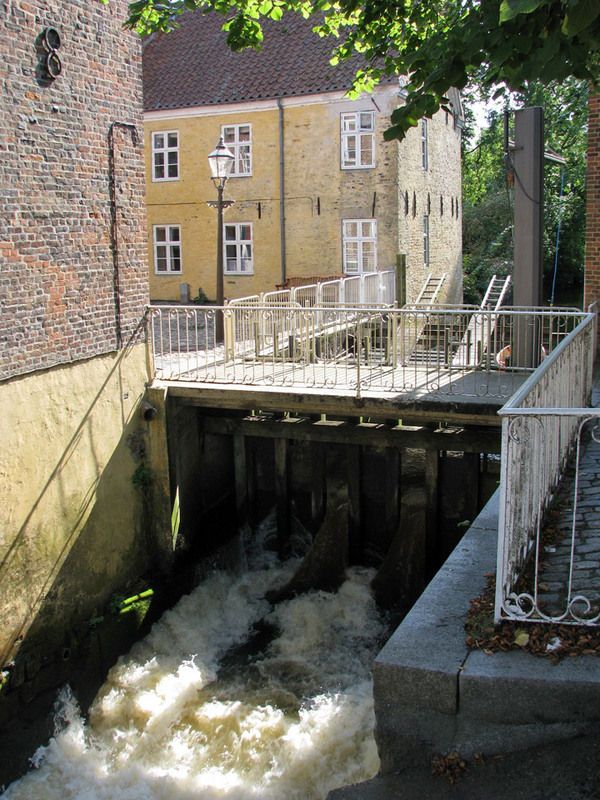 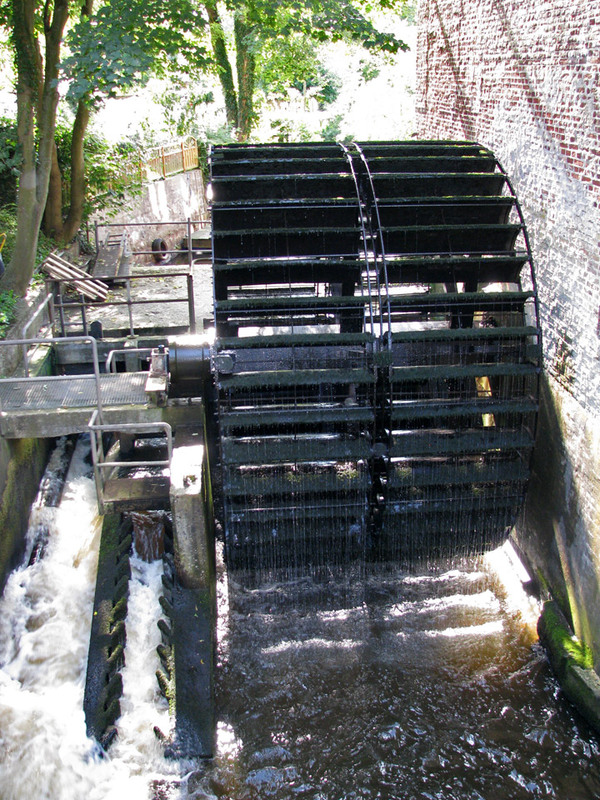 * 1634, 11-12 October: A storm tide floods the city with waterlevels rising to 6.1 meters above average. 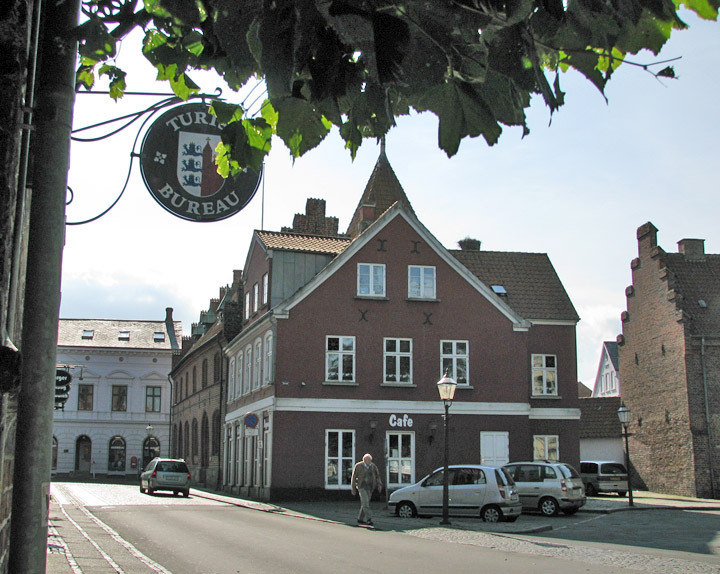 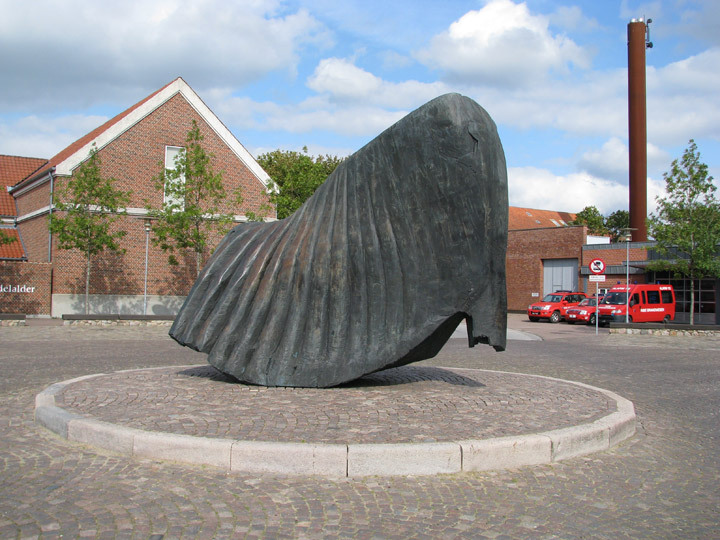 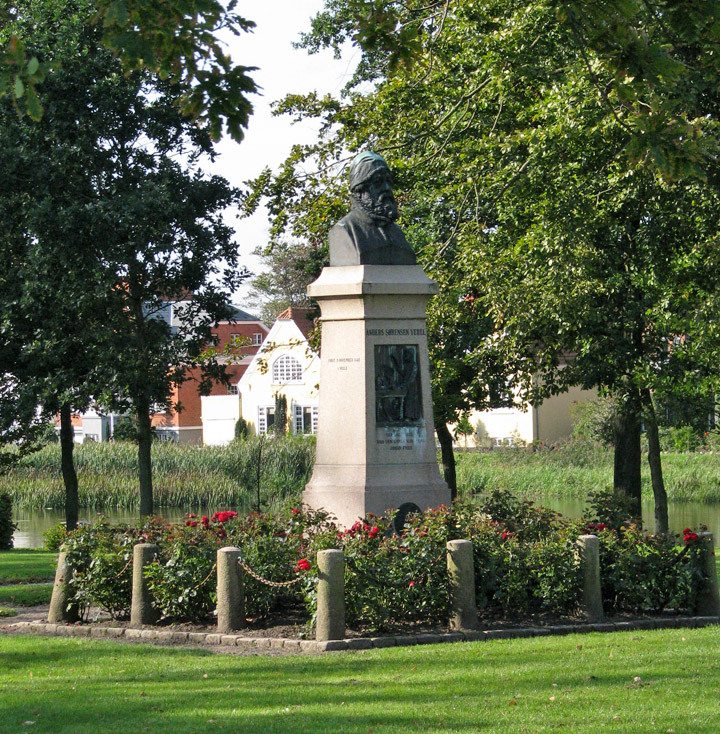 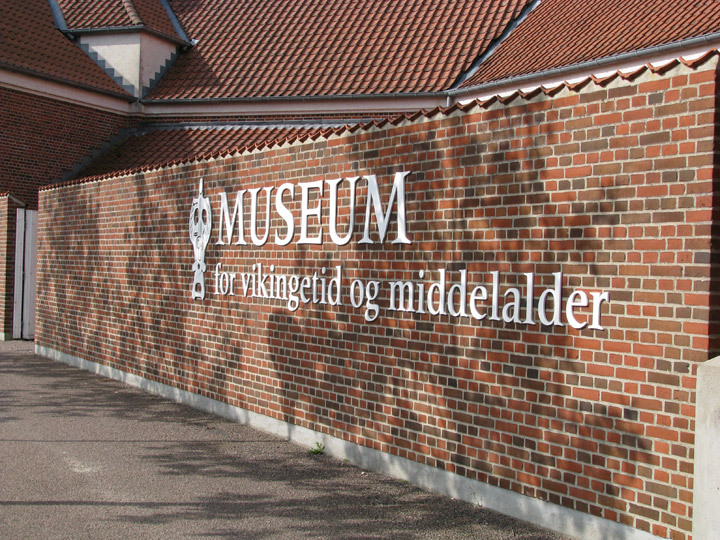 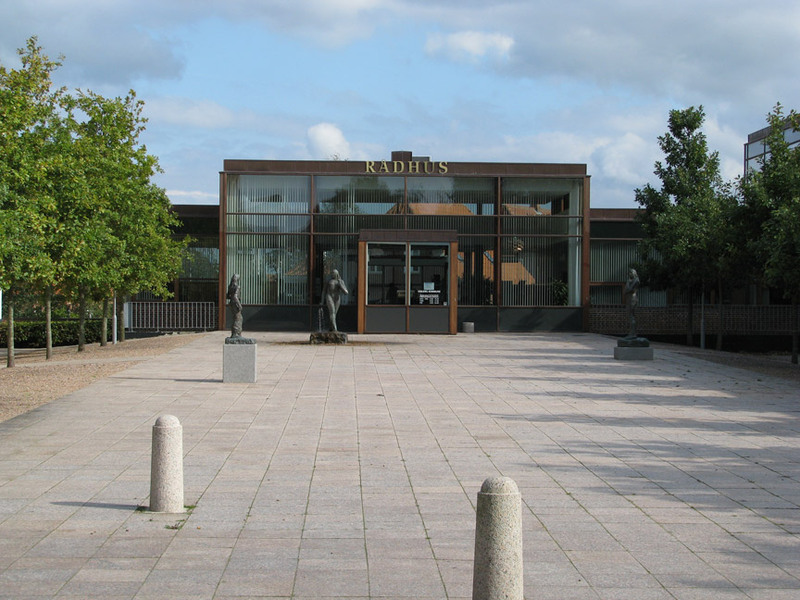 * 2007, 1 January The Municipality of Ribe ceased to exist as it merged with the municipalities of Esbjerg and Bramming, now forming a new municipality of Esbjerg. 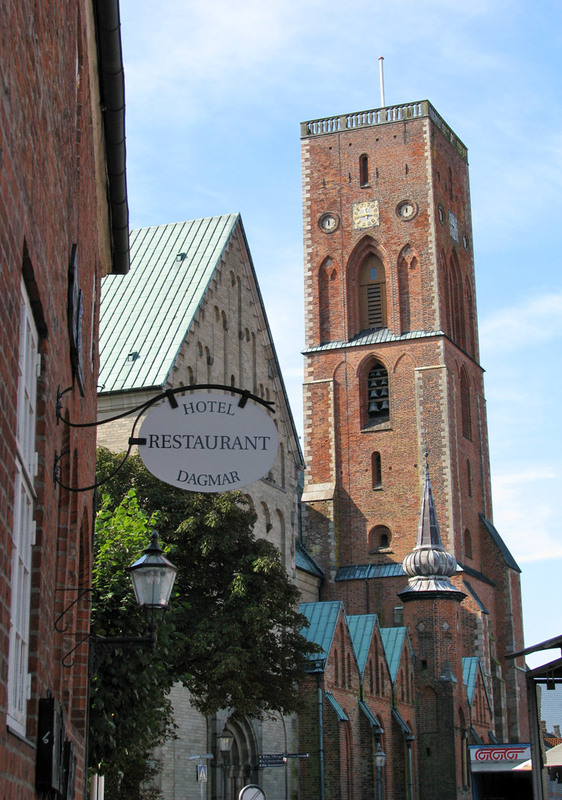 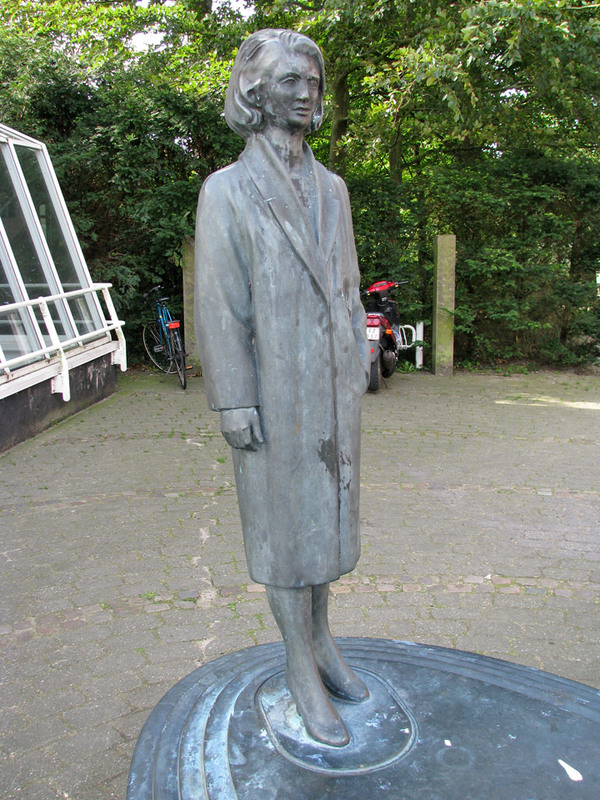 The bells of Ribe Cathedral play the folk song about Queen Dagmar called "Dronning Dagmar ligger i Ribe syg" ("Queen Dagmar lies in Ribe sick"). 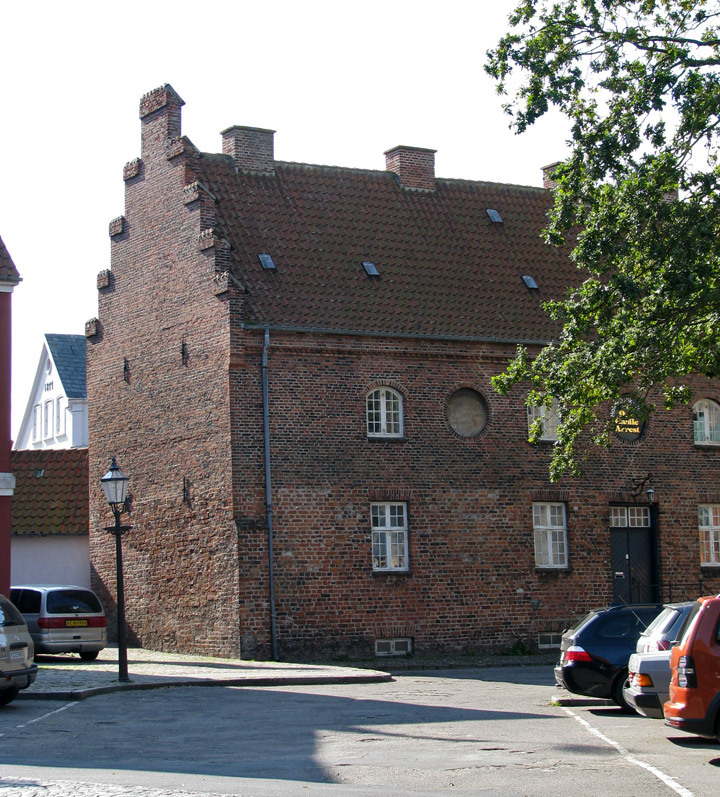 The Night Watchman in Ribe. 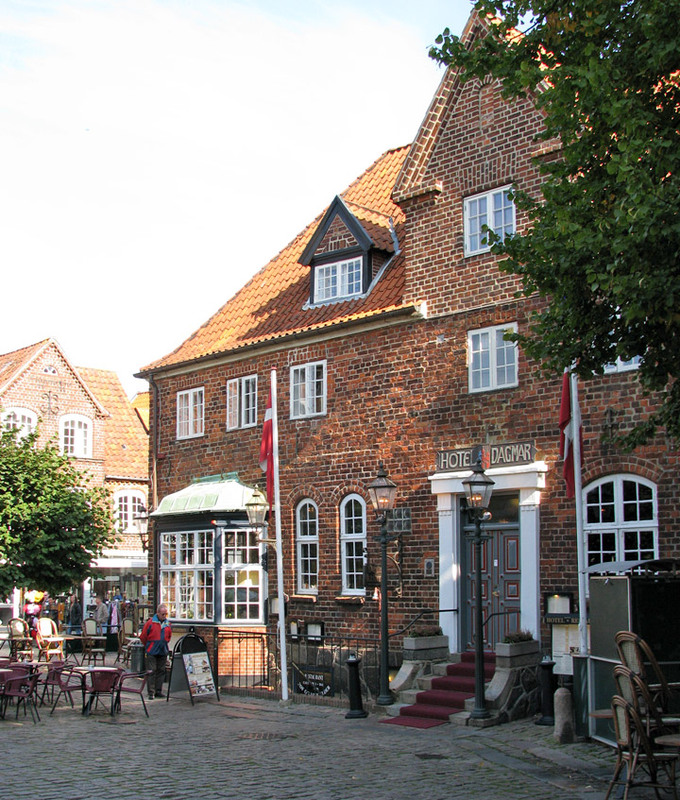 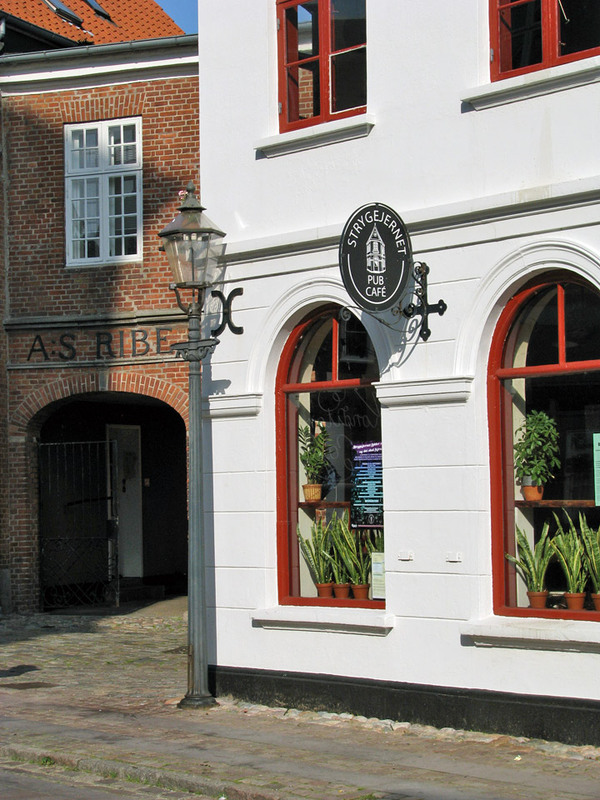 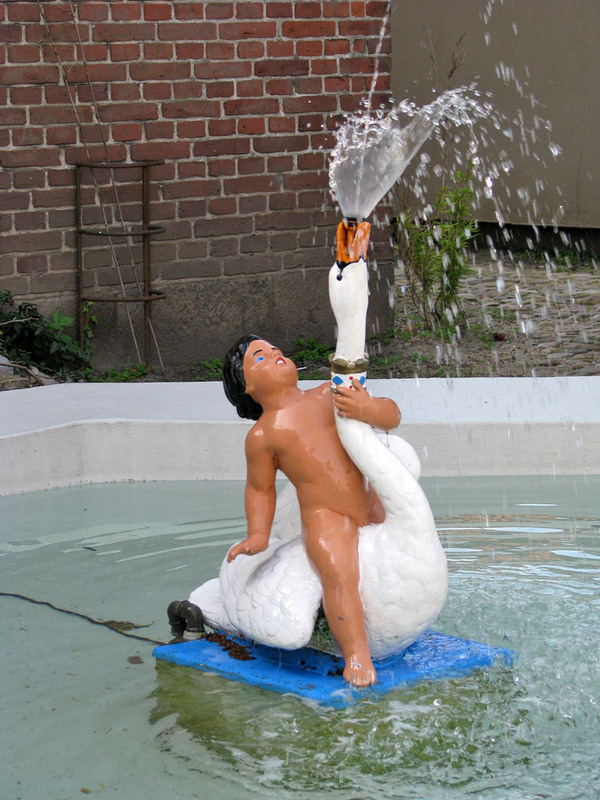 Every evening from 1st of May until 15th of September you may accompany the night watchman in Ribe on his route through the old town, while he is singing to alert citizens about bedtime approaching.